Om Sai Residence is a charming hotel with a simple external structure and a modern interior decor. 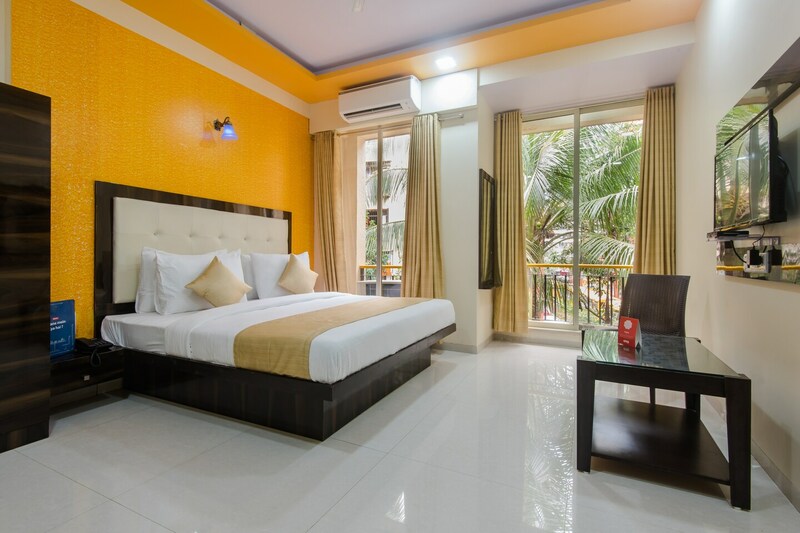 The bedrooms at the hotel have light colored walls and dark woof furnishings with one of the walls textured, making the rooms appear bright and comfortable. Om Sai Residence in Mumbai is located close to the Sanjay Gandhi National Park which is a good spot for an early morning run, walk, or even mountain biking up to the Kanheri Caves. The hotel is comfortably furnished with modern amenities and services to ensure guests enjoy a restful and relaxed stay. The hotel provides its guests with free Wi-Fi, a geyser, laundry facility, CCTV cameras and a card payment option.